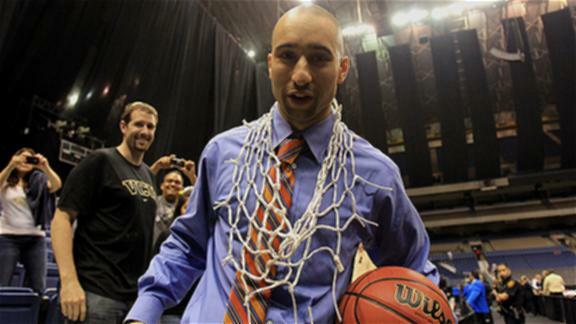 Shaka Smart: Yep, Still Smart. Smart’s system may not always appear to be very organized, but it’s chaotic on purpose and his players execute it very well. The Rams took Wichita State out of its comfort zone for almost the entire night, and they’re instilled with the confidence needed to both take and make shots like the late threes that Troy Daniels and Bradford Burgess nailed when it appeared that the game was slipping away. Joe Ragland did his best down the stretch to bring the Shockers back, but in the end they frustrated a good-shooting Wichita squad into a miserable 37.5% shooting night (and only 5-17 from beyond the arc). Garrett Stutz Was Ineffective. He probably couldn’t have envisioned a worse final game for his career (4/6 on 2-11 FGs). 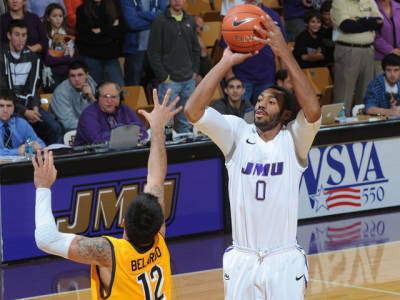 Not only did he get into foul trouble early that clearly affected his game, but at the end of the night when he was back on the floor, a finger-roll attempt came off the rim on him and of course he ended up with the ball for a final shot from three that would have tied the game. 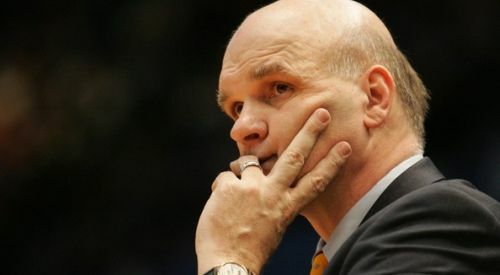 In the press conference afterward, Stutz had clearly been crying in the locker room, as his eyes were red and he didn’t have much to say about his rough game. Wichita’s Last Play Was a Disaster. Gregg Marshall called a time out to draw up a play with his team down three points. VCU switched on everything and said later that their objective was to not let Wichita have a three-pointer. 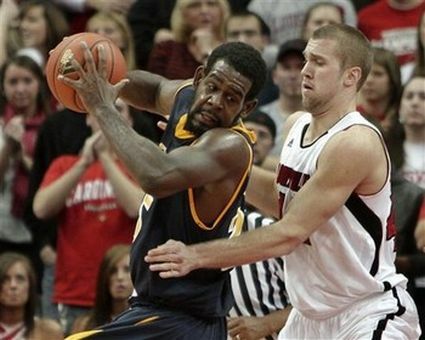 It worked exceptionally well, as the Shockers dribbled around and eventually had to bail out by giving it to Stutz at the top of the key with two seconds left and had to take a step back to shoot the three (he was 10-31 on the season). But this was no coincidence — Shaka’s guys knew the objective, and they executed it as well as could be asked. Star of the Game. 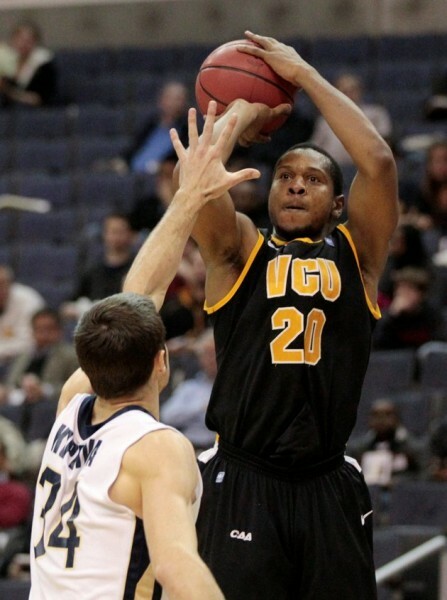 Darius Theus, VCU. 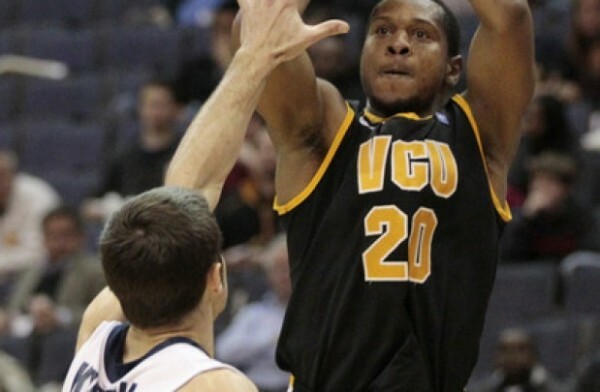 There was no single player who stood out for the Rams or the Shockers tonight, but Theus’ play at the point guard position was instrumental in giving VCU a chance to win. He had a few turnovers (four), but for the most part he successfully handled the press that Wichita State threw at him and kept his head in the game so that he could make the game-winning shot with a seven-footer coming at him in the paint. Quotable. “Last year we were able to blow teams out more because we could go on runs with our shooting… but defensively, we’re much tougher. We grind it out better. 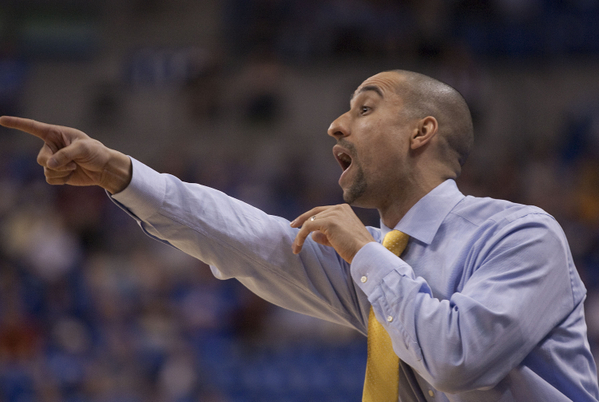 We get after it a little bit more.” – Shaka Smart, comparing last year’s team to this year’s. What’s Next? The Shaka Train rolls on to the Round of 32, with VCU advancing to play the winner of #4 Indiana vs. #13 New Mexico State in the nightcap in Portland. 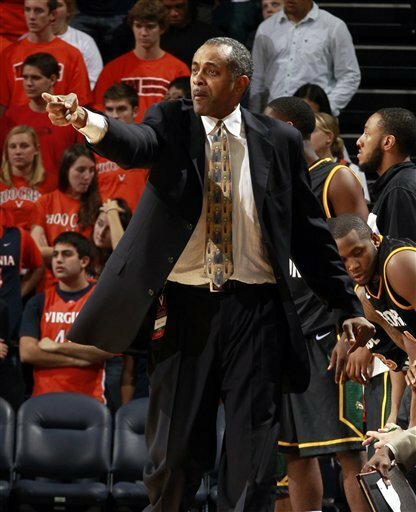 You’d have to figure that based on style of play and the coaching abilities of Smart, the Rams will have an excellent shot to get back to the Sweet Sixteen.